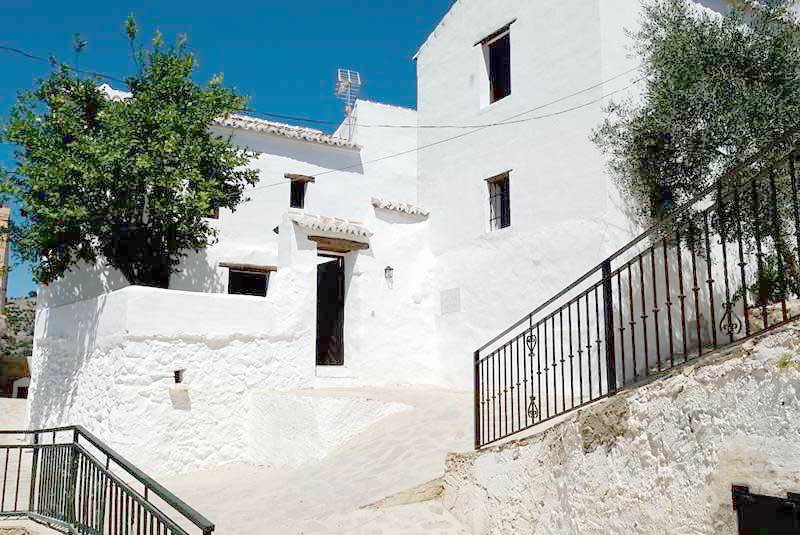 A white village in the Serrania de Ronda mountains whose Andalusi past is visible in its urban design, consisting of steep, narrow streets of whitewashed houses topped with Arabic roof tiling. Outside the village centre is the famous Valdecilla holm oak, one hundred years old and an impressive sight with its 3-metre diameter. The municipal area is part of Sierra de Las Nieves Natural Park, declared a Biosphere Reserve by Unesco due to its immense ecological value. The village is of Arabic origin, as can be seen from the design of its streets and the layout of its houses. According to some historians, present-day Parauta dates back to the old settlement of Hins Autha, located on a nearby farm called Torrichela. This was the birthplace of Omar Ben Hafsun (circa 854), the famous muladí (Christian convert to Islam) leader who built up a sizeable army in the Serrania de Ronda mountains before waging war against the authority of the last Emirs of Cordoba, Al-Mondhir and Abd-Ala (886-912). Omar set up his headquarters in Bobastro -a town whose exact location is still not known for certain, but which is thought to have been in or near the Serrania de Ronda- and from here proceeded to capture a large section of eastern Andalusia, including such important locations as Archidona, Ecija, Baena and Lucena. His domain and his prestige amongst the muladí Moslems increased constantly until his defeat at Poley (Aguilar), in 891; after this setback, Omar sought an alliance with the Arabs of North Africa and the Christians in the north of the peninsula, finally converting to Christianity (a doctrine which had such a profound effect on one of his daughters that she is today included in the list of Catholic saints as Santa Argentea), losing the confidence of many of his muladí supporters, though the fortress of Bobastro was still standing when he died in 916. Parauta was conquered by the Catholic Monarchs at the same time as Ronda. There followed a sharp decline in the morisco (Moslem convert to Christianity) population, in some cases due to deaths in one of the various rebellions caused by their refusal to accept their conversion to Christianity, in others as a result of the flight of the village’s inhabitants to North Africa and Tunisia. Following the definitive expulsion of the moriscos (1570), the village was repopulated by Old Christians, primarily from Cadiz and Seville.